No kidding, this is a collection of grammar lessons that teachers and students will love! 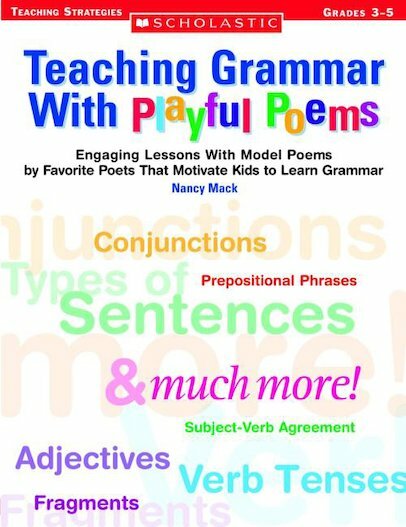 Poems by Jack Prelutski, Shel Silverstein, and others who take a playful approach to language introduce each grammar concept—from parts of speech to sentence construction and agreement. Lessons include an engaging modeled writing activity, provide helpful ways to explain grammar concepts to students, and support student understanding with hands-on extension activities that appeal to all types of learners.